The Palmer Method of Penmanship was already taught in the early 1900's. 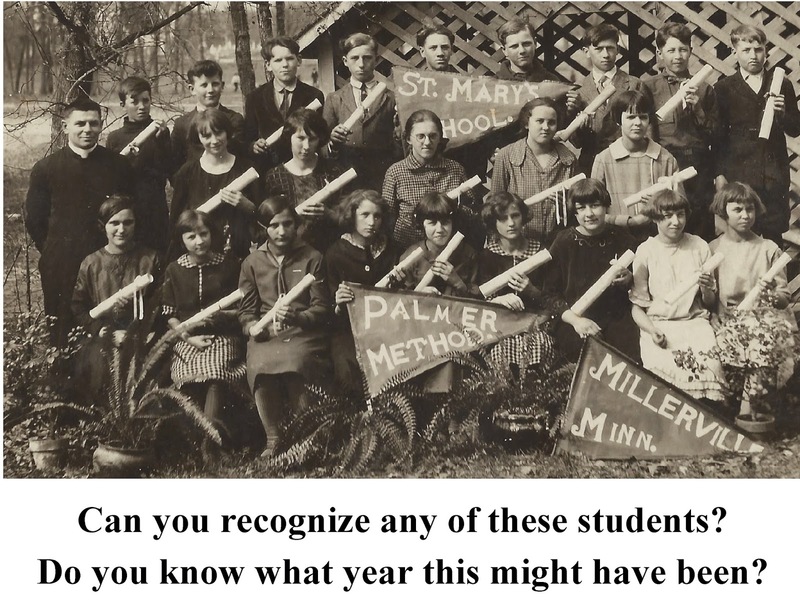 The students must have received a certificate of some sort when they completed the course. 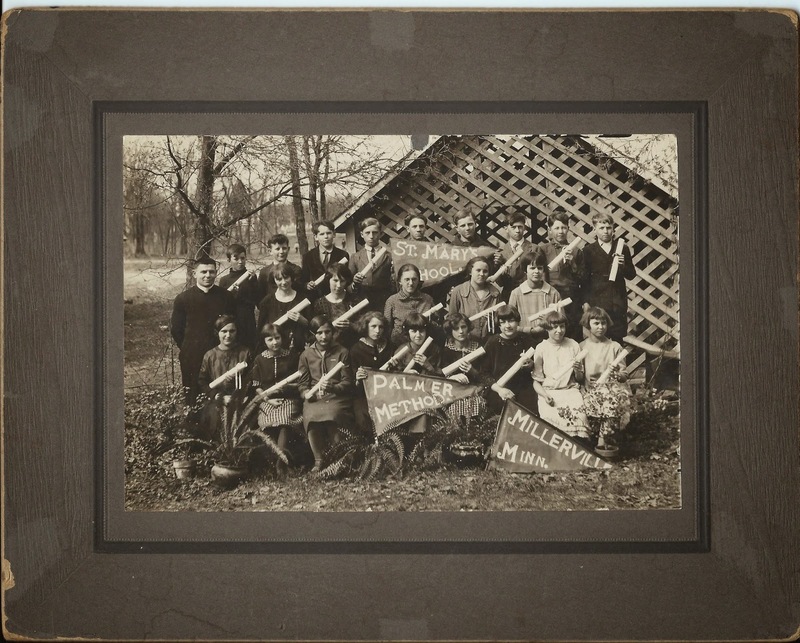 Look closely at the students, one of them might be one of your grandparents. Brandon's Homecoming was presided over by senior Emily Foslien, daughter of Mr. and Mrs. Frank Foslien of Brandon. The royal court, pictured also included, front row left to right, Karen Severson, freshman attendant; Diane Bitzan, eighth grade attendant; and Sara Backlund, seventh grade attendant. Second row, left to right are Marrianne Thoennes, junior attendant, and Lorna Koep, sophomore attendant. 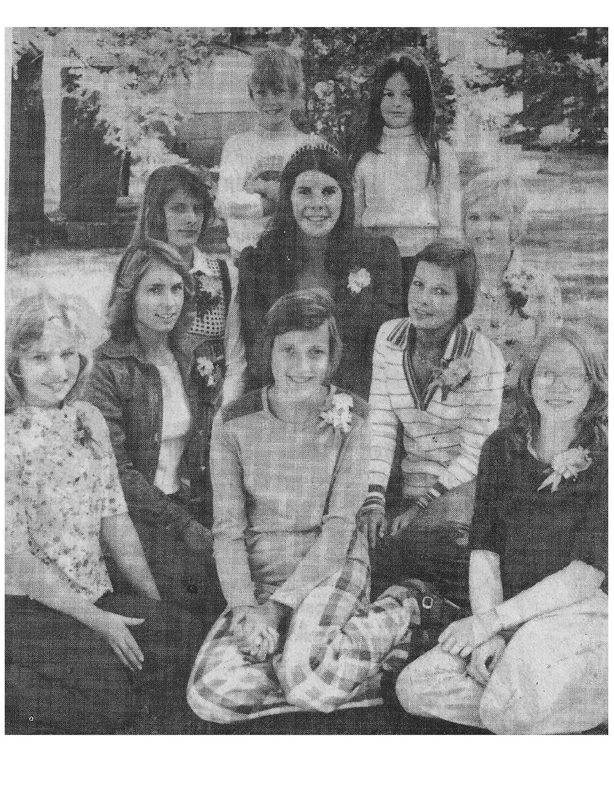 Third row left to right are Linda Meissner, senior attendant; Queen Emily and Brenda Olson, senior attendant. Crown bearer and flower girl are John Ledermann and Dawn Green, both third graders. Homecoming events, organized by student council and the cheerleaders, included Thursday's coronation and Friday's football game, parade with the high school band and dance.